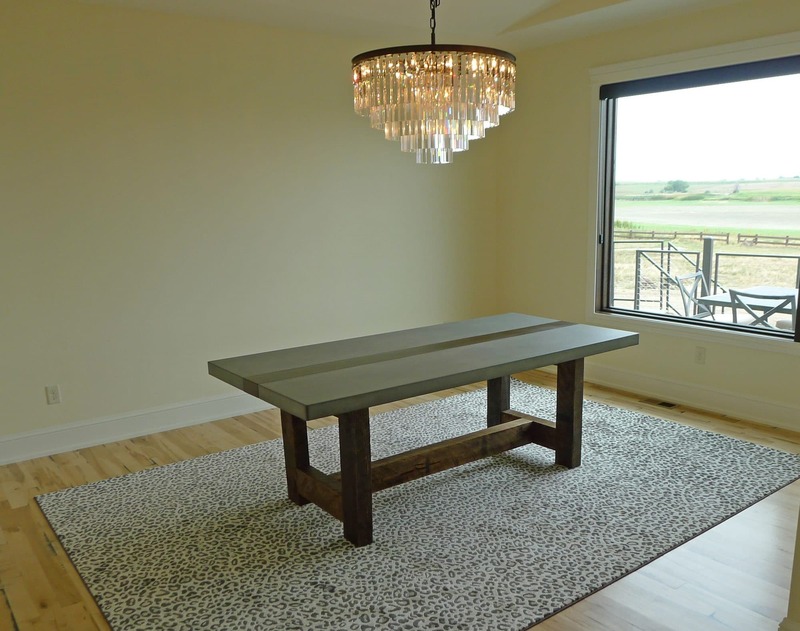 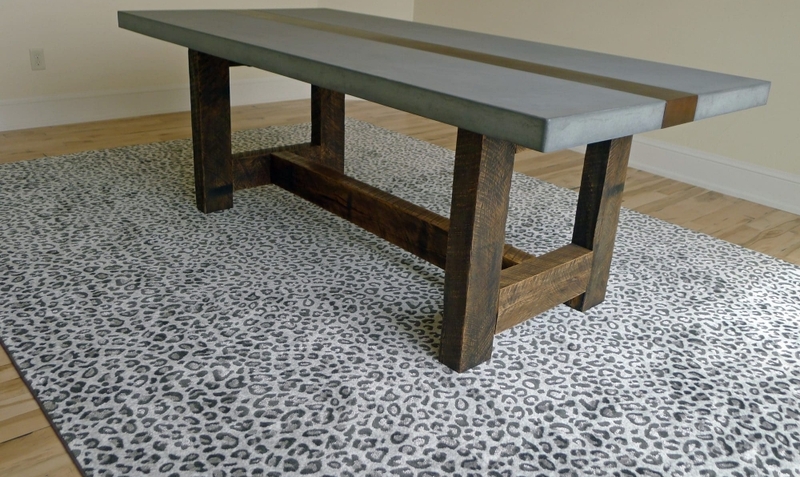 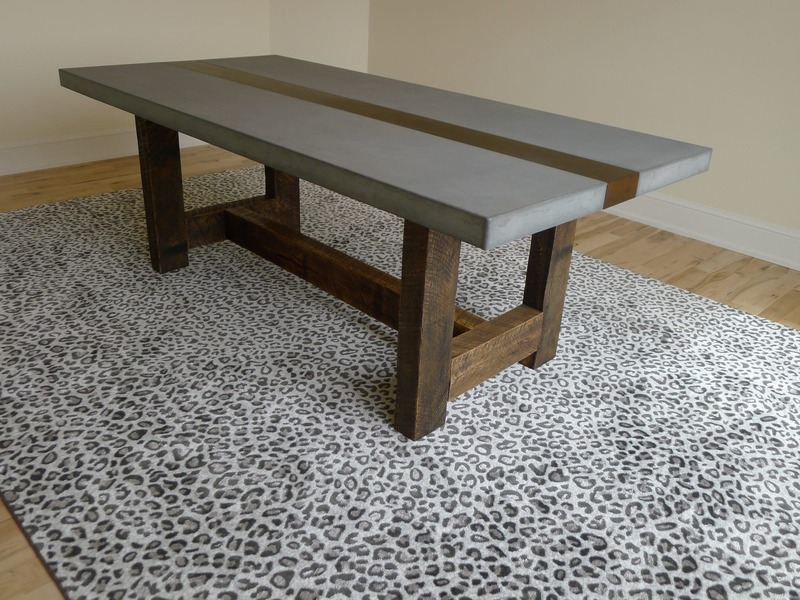 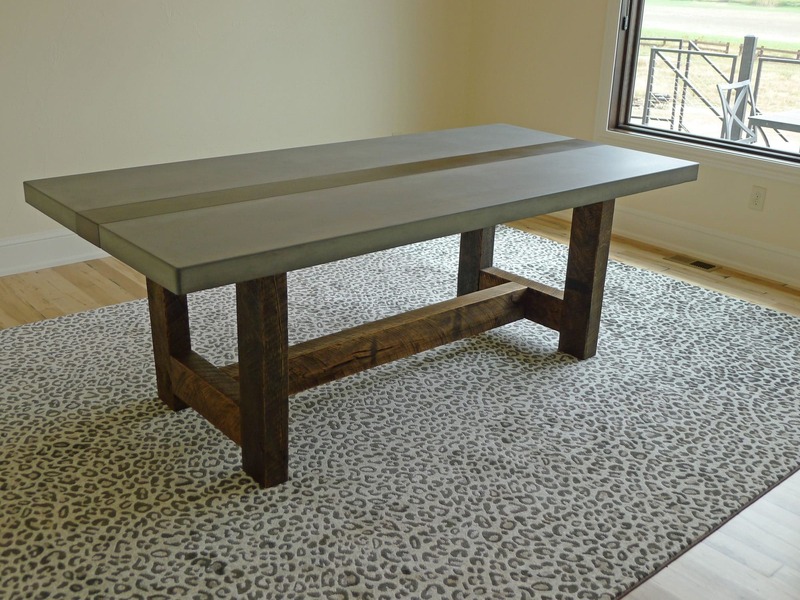 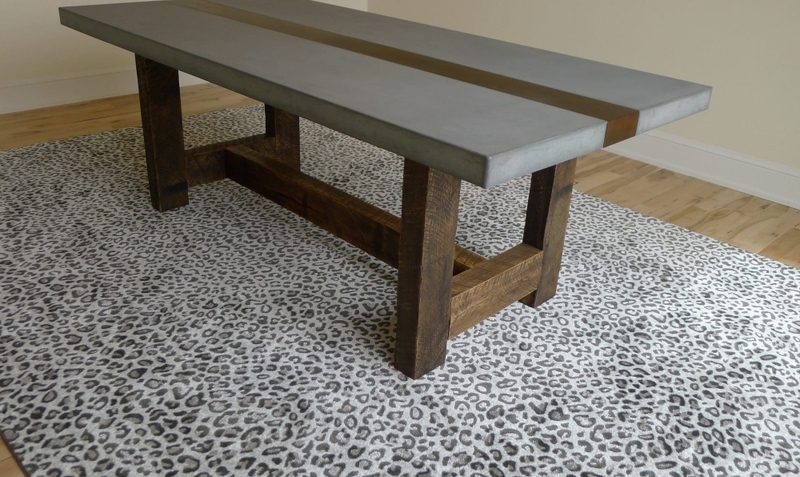 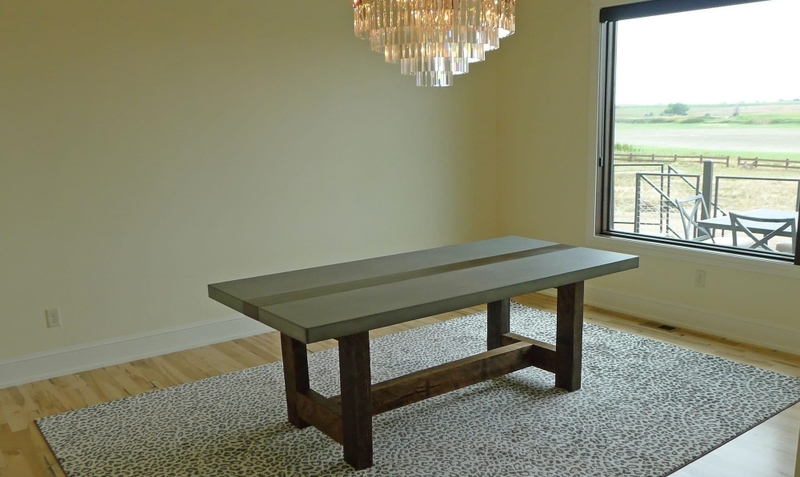 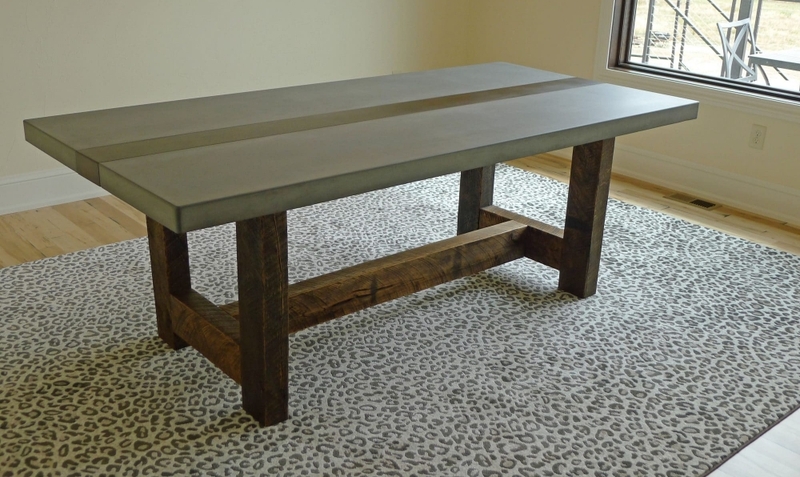 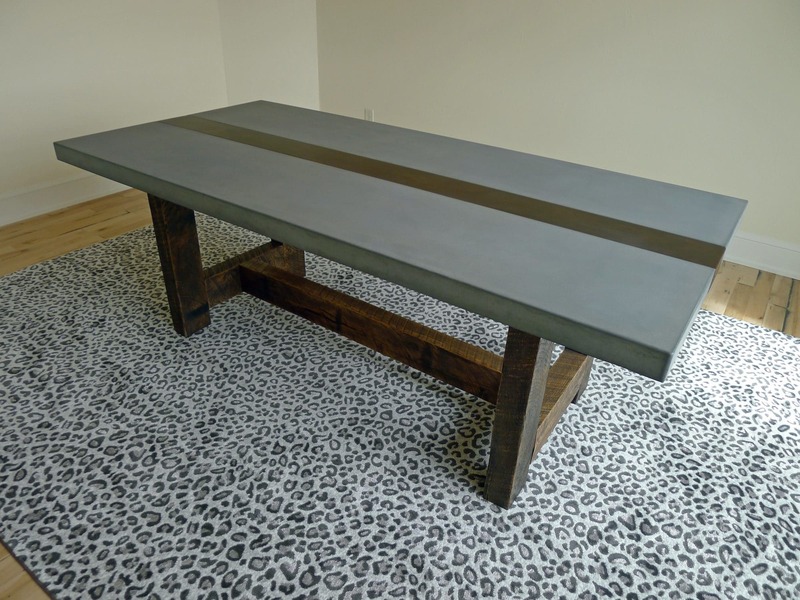 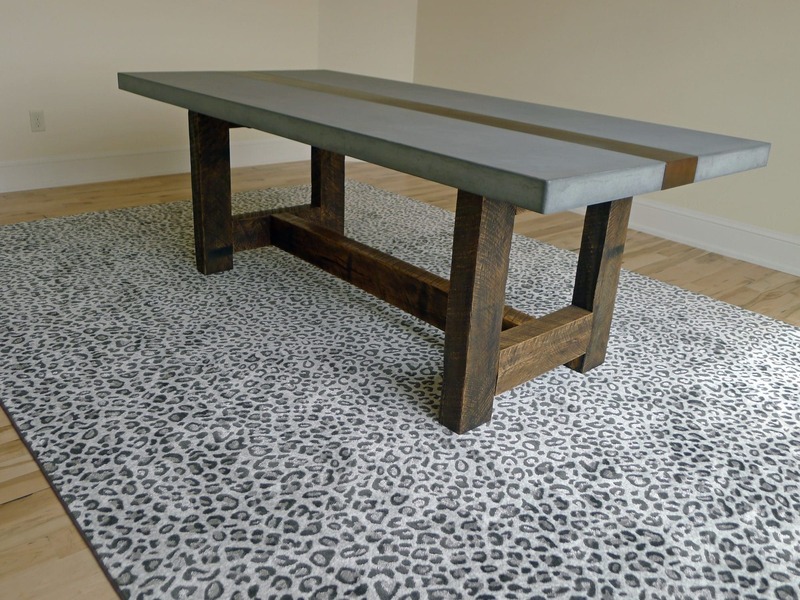 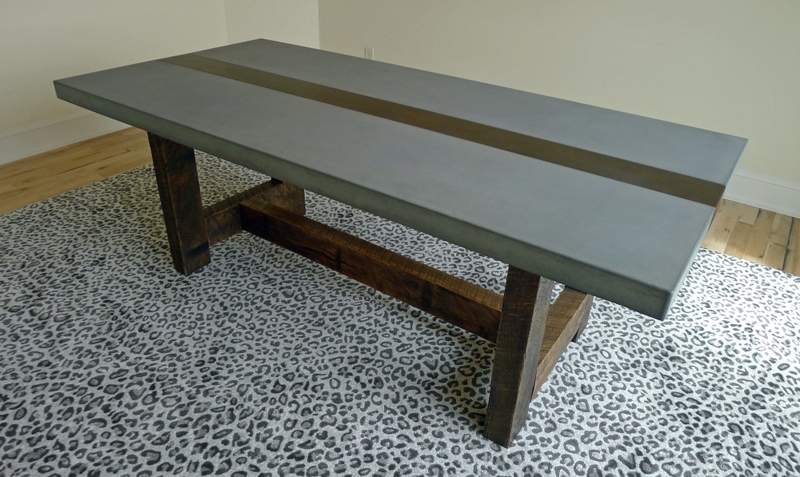 Rustic modern concrete farmhouse table. 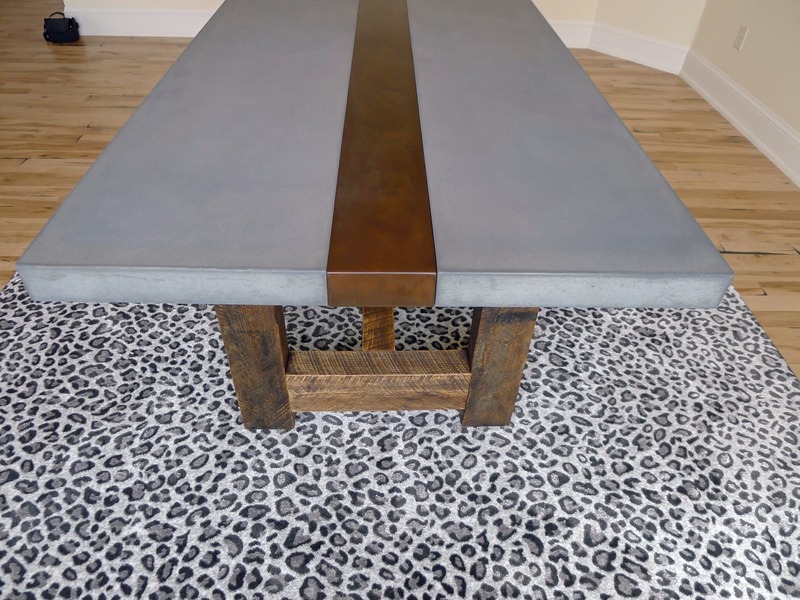 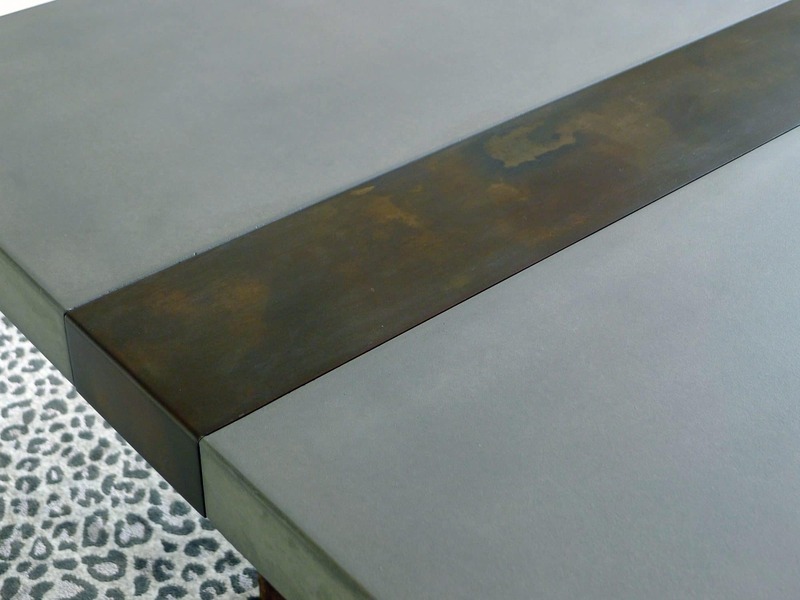 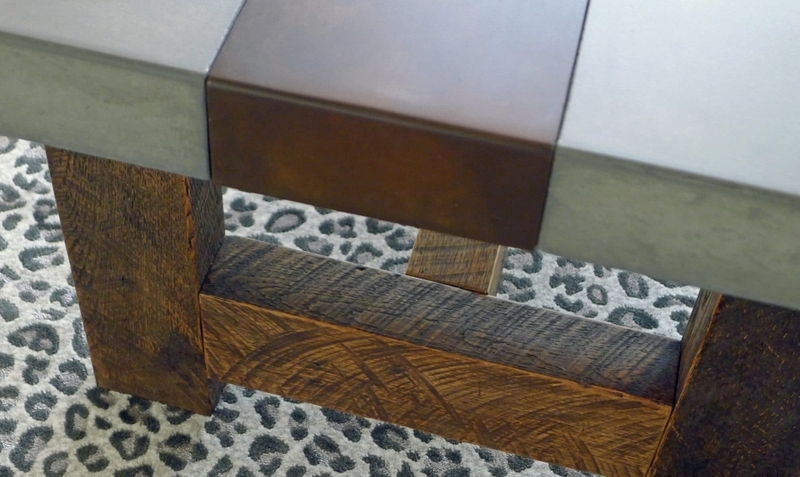 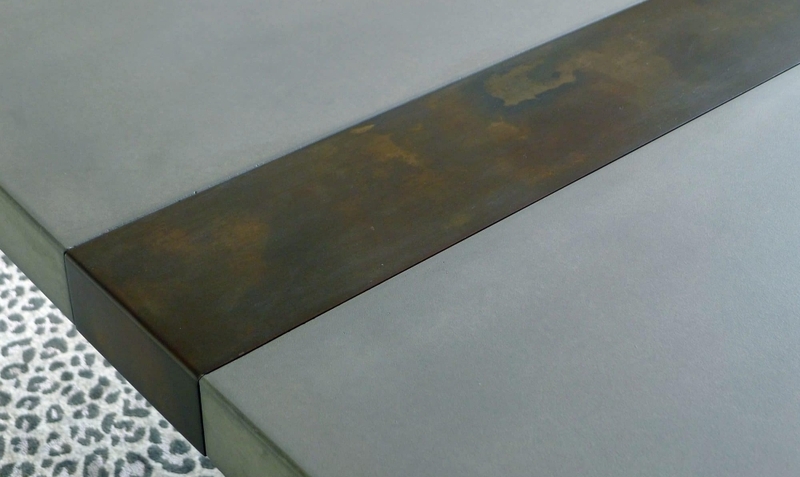 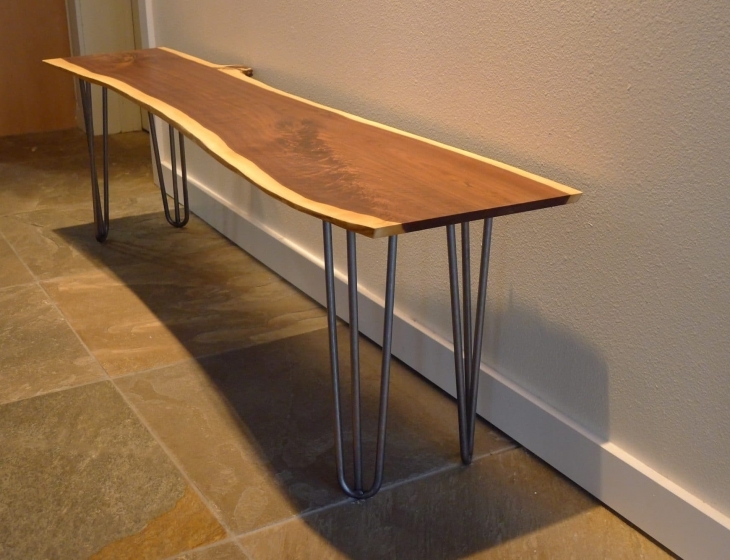 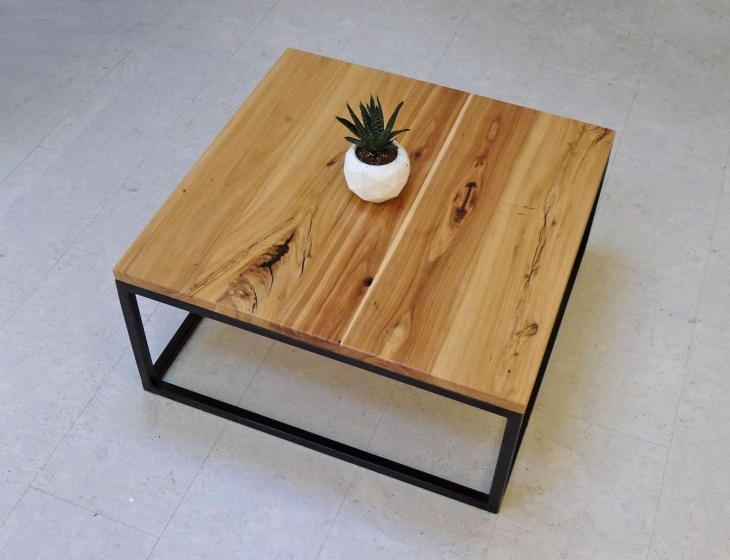 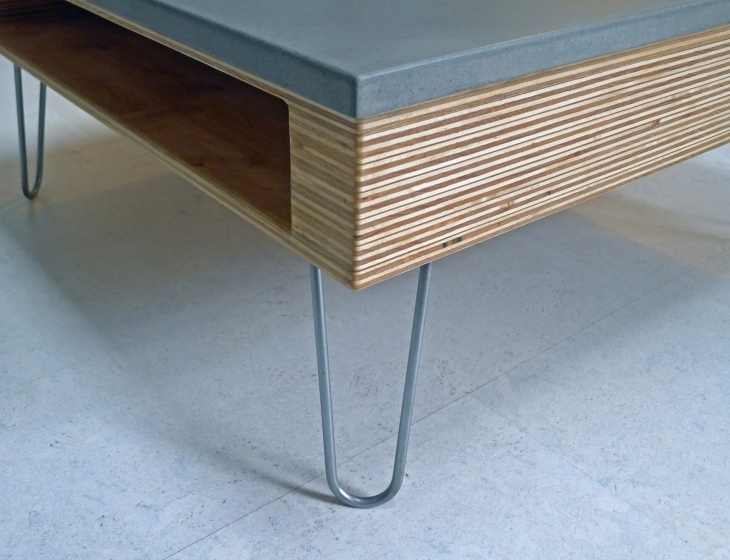 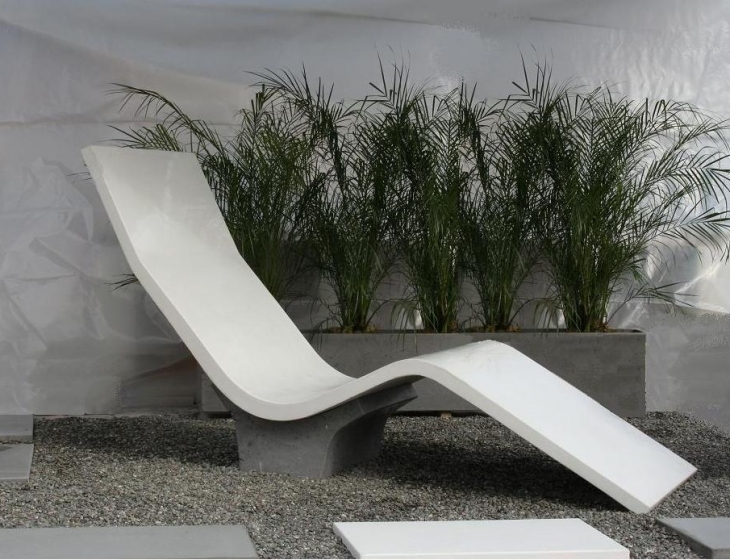 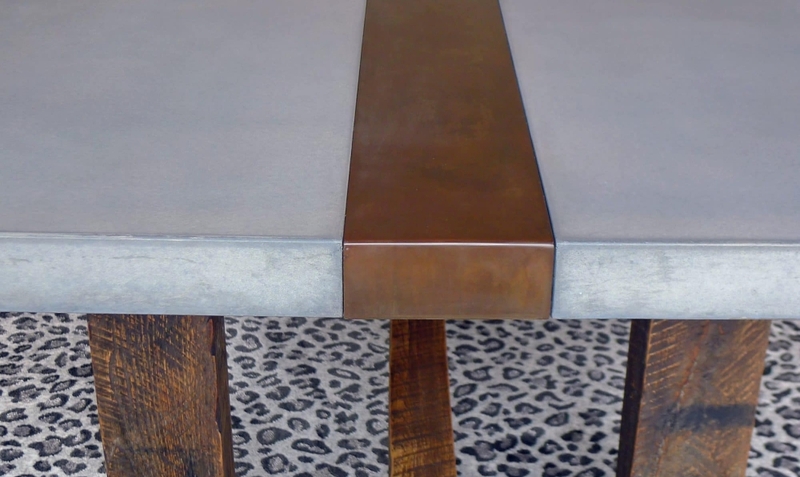 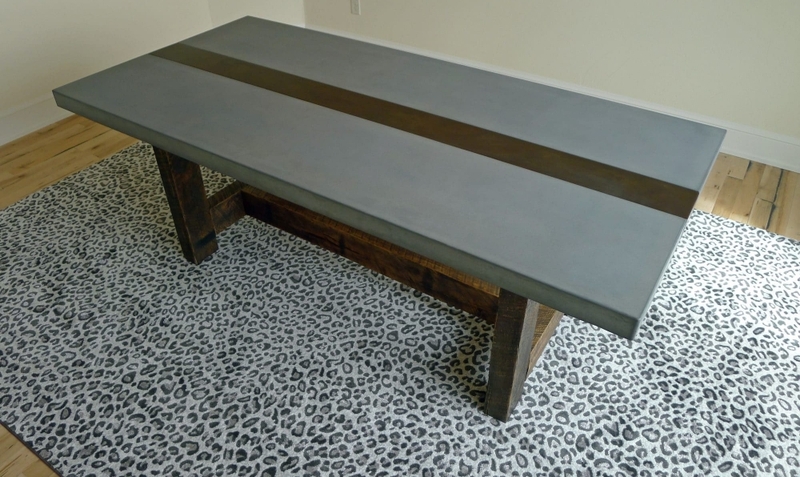 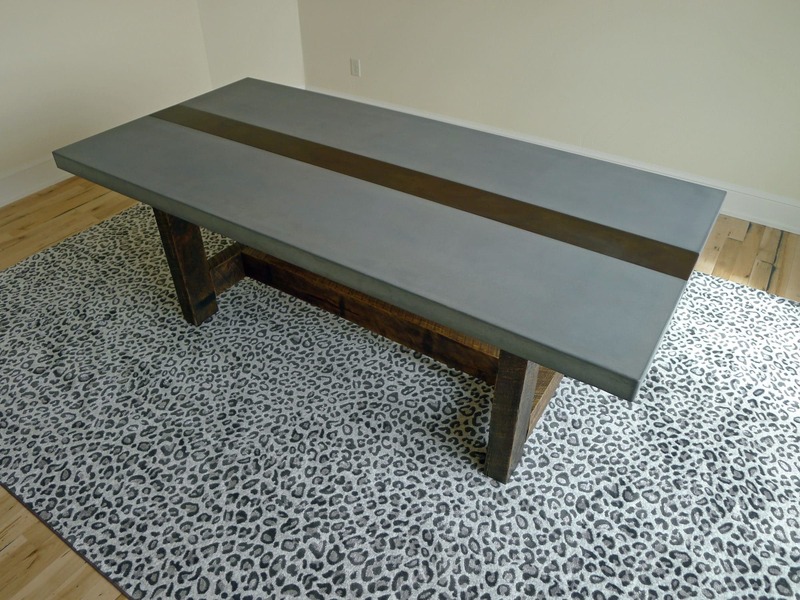 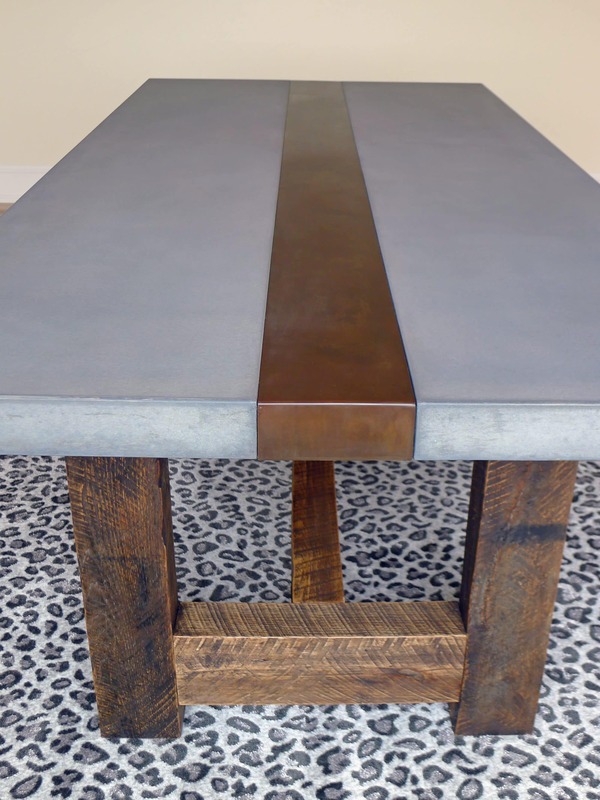 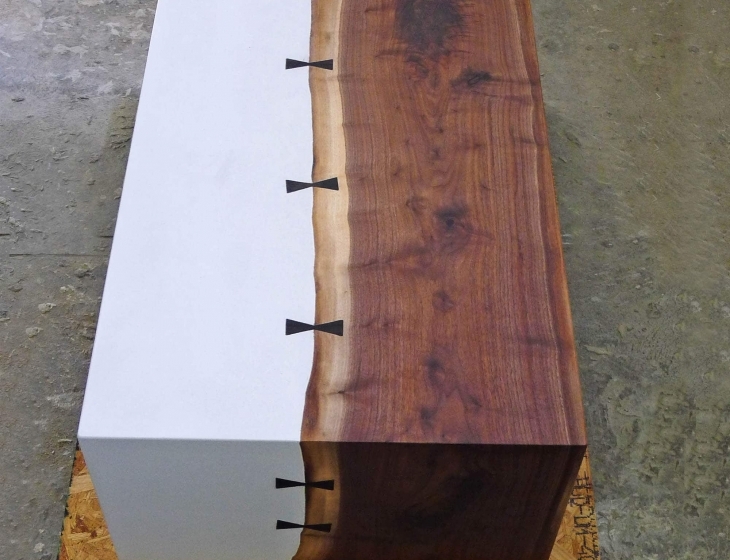 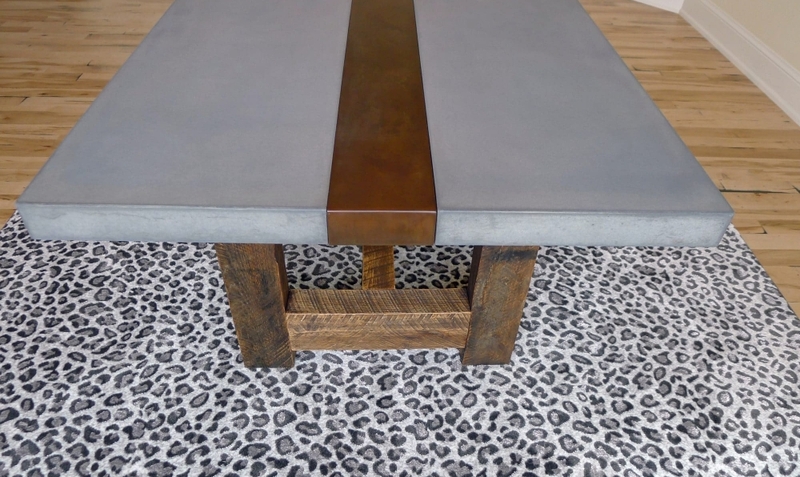 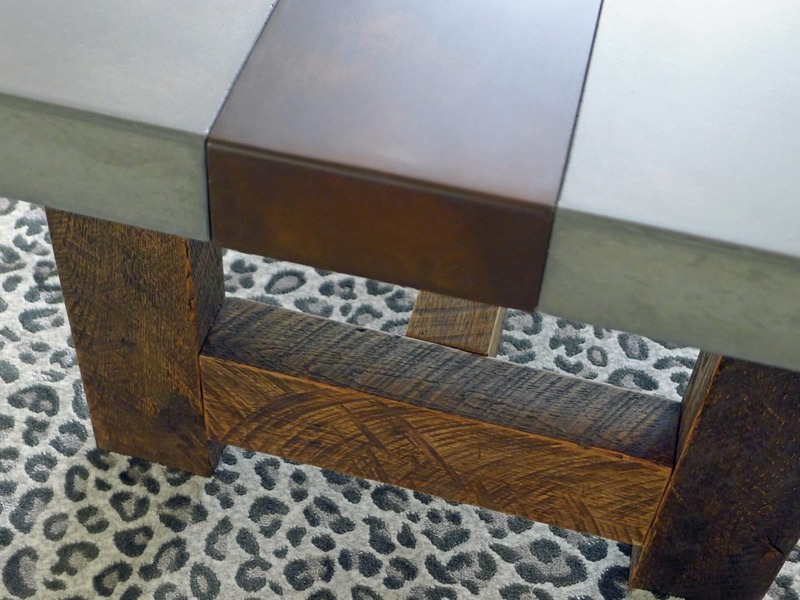 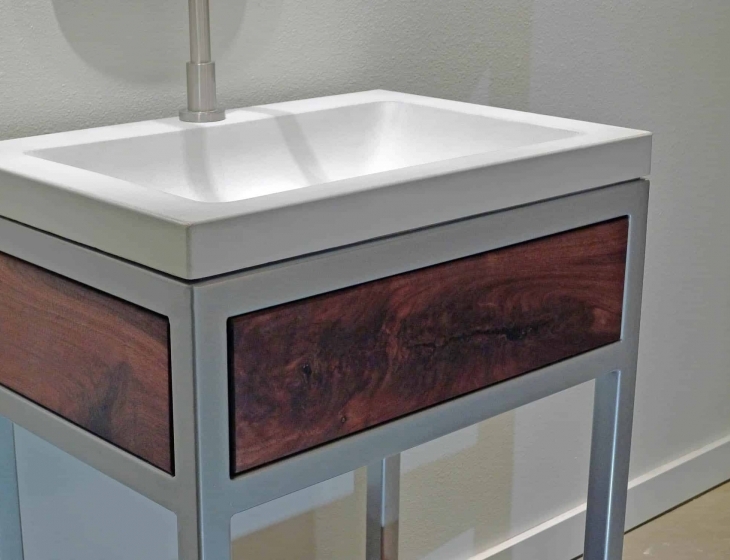 Natural grey concrete top with a patinated steel inlay. 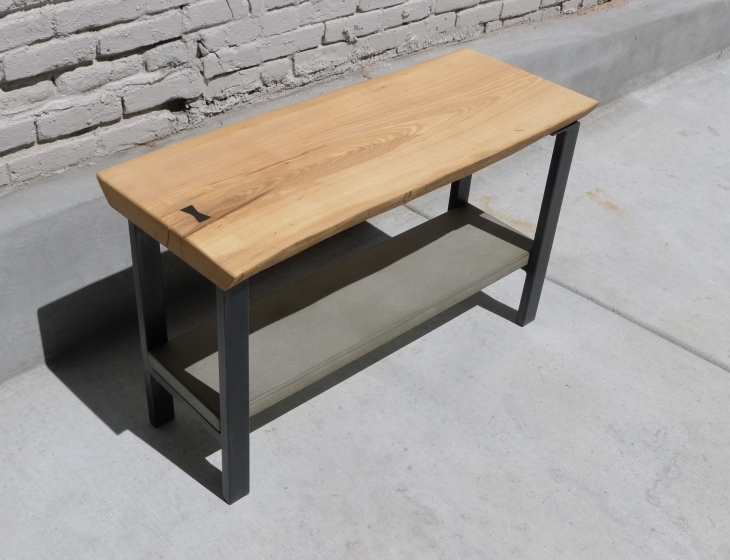 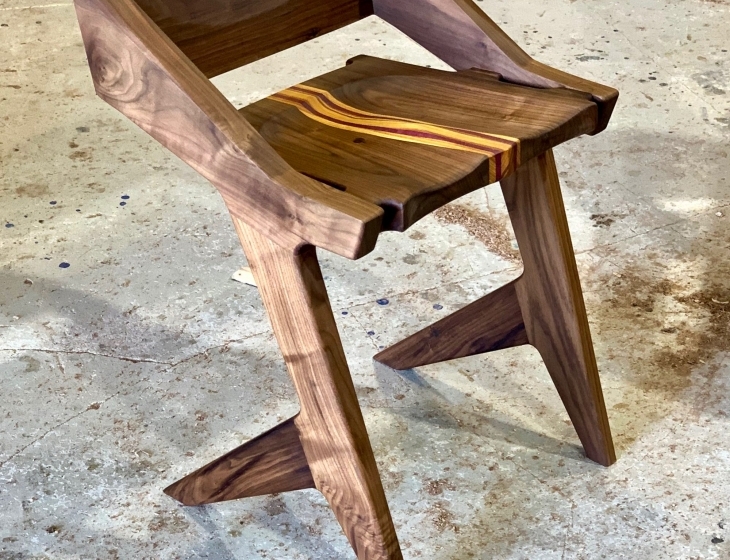 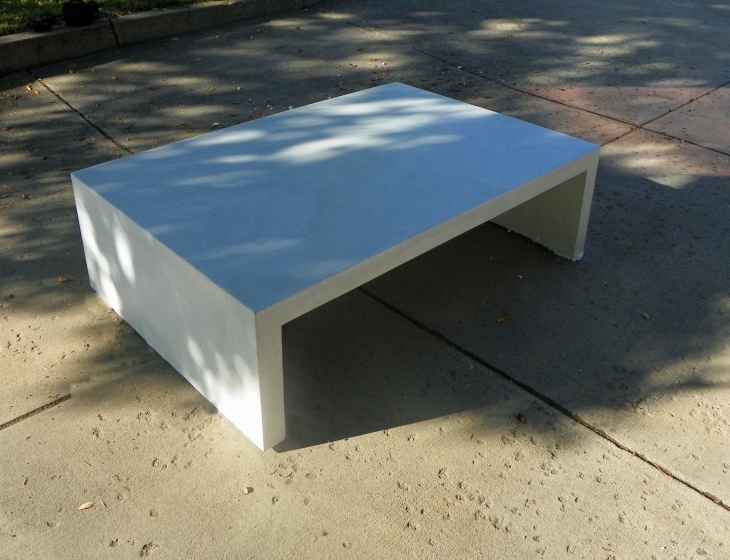 Trestle base made from 100 year old reclaimed beams salvaged in downtown Denver.